Investigate the meaning of every word in the Greek New Testament with this highly-respected 3 volume collection. A must-have for every serious student of God's Word! 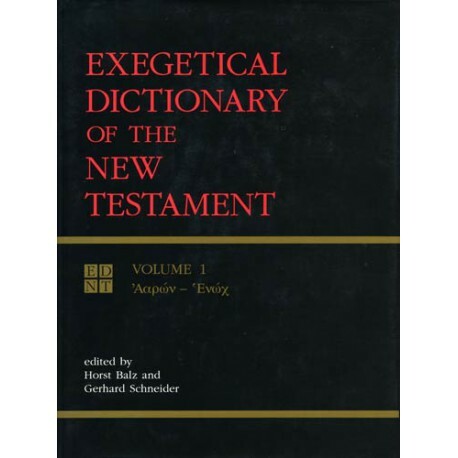 The Exegetical Dictionary of the New Testament is designed for serious students of the Greek New Testament. Arranged alphabetically (in Greek) and grouped by root-word meaning, with a transliteration following, the EDNT provides an abundant amount of information for every word in the New Testament. Discover for yourself the meaning of the Greek words that serve as the basis for the text of our English Bibles. As you use the EDNT in PC Study Bible , the language of the New Testament will open up before you and you will grow into a deeper understanding of God's Word. How Is This Dictionary Different? If you were to try to locate this dictionary on the spectrum of "layman” to “academic”, it would tend toward the academic end. The EDNT is far more robust, up-to-date and complete than, say, Vine's Expository Dictionary . While of similar quality, it is neither the behemoth nor the expense of the ten volume Kittel's Theological Dictionary of the New Testament . The EDNT gives you more than definitions, you will also find scores of cross-references — links to specific Bible passages where the word is used — as well as word frequency, background information and much more. 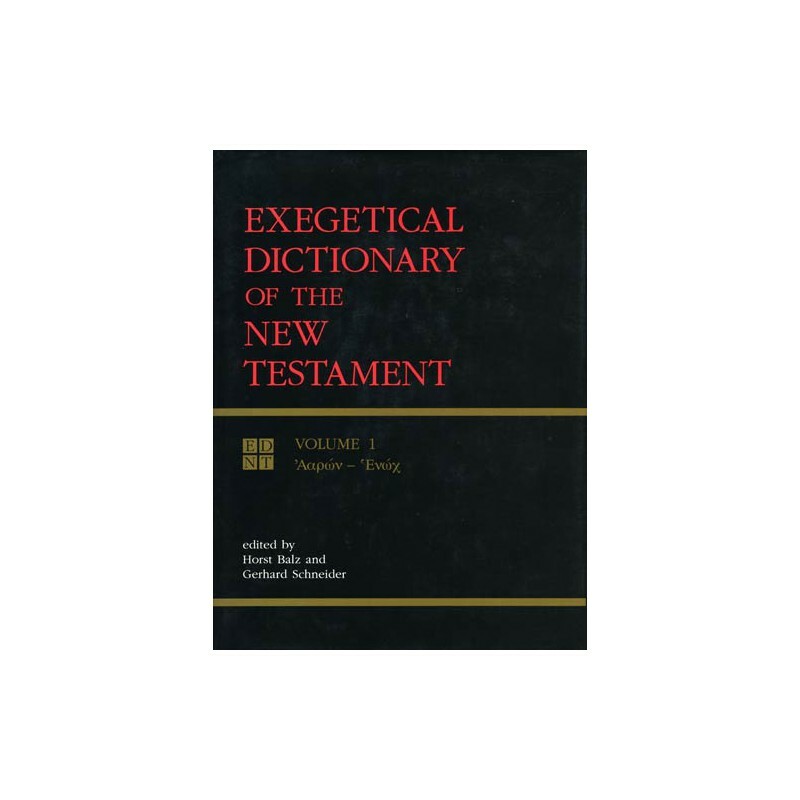 All English-speaking readers of the New Testament will find the EDNT to be not only a complete lexicon but also a superb guide to New Testament word usage and modern New Testament scholarship. One of the key challenges facing any student of the Bible today is finding the right New Testament dictionary for doing in-depth word study. Often, a work is either overwhelming and prohibitively expensive or archaic and sparse. The EDNT strikes an ideal balance between the advanced modern scholarship which today's student demands and the approachable detail that makes a reference work an everyday friend. Now you can compare, define, trace and evaluate all of the words in the New Testament in their original language without years of training just by using PC Study Bible . No other program makes it this easy for you to enjoy and grow in your study of God's Word.